20.11.07 Luzembourg DB 181.214 | Flickr - Photo Sharing! 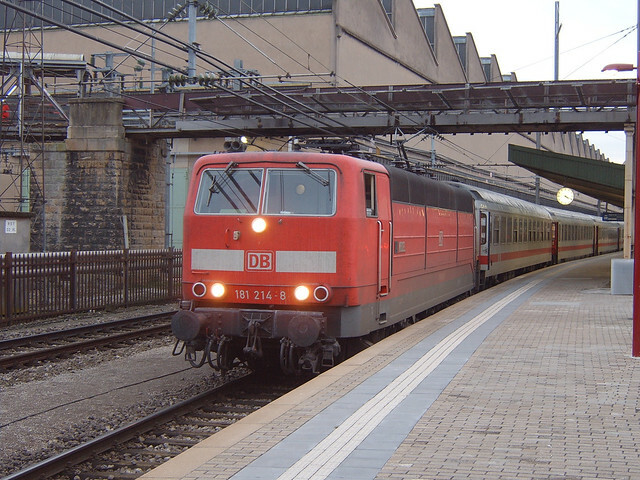 DB class 181, no. 181.214 seen at Luxembourg on 20 November 2007. These are assigned to InterCity services between Luxembourg and Norddeich Mole. bobbyblack51, and 2 other people added this photo to their favorites.